Your gonna love this, I promise! It’s made with grits, y’all! This handmade soap crafted locally is as Southern as it gets! Joy Haynie, the “craftsman” (or should I say craftslady) and founder of Simply Joy, has taken the bath to another level. She has a lines of soap for everyone from the young ones to those of us that just need a little stress free time at the end of the day. 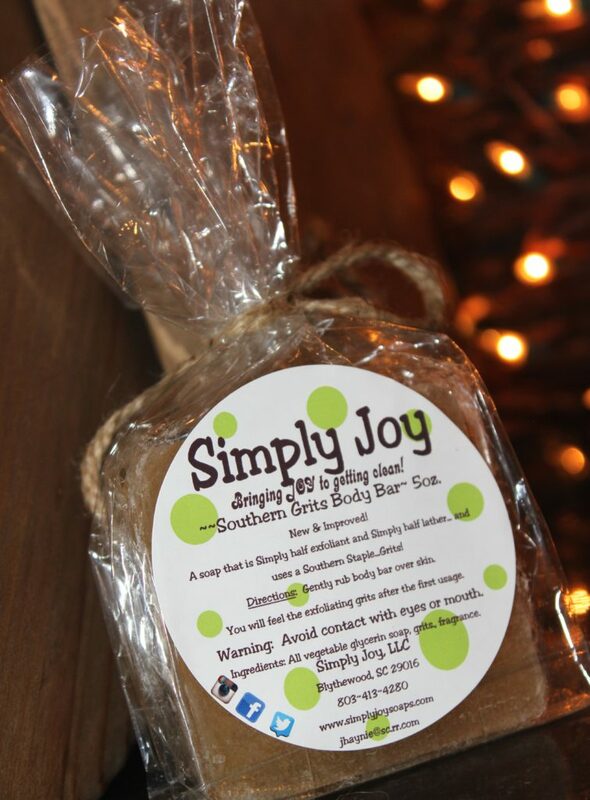 My personal favorite is the Souther Grits Body Bar; a soap that is simply half exfoliant and half lather. I also love, love the Palmetto Pomegranate sage scent! 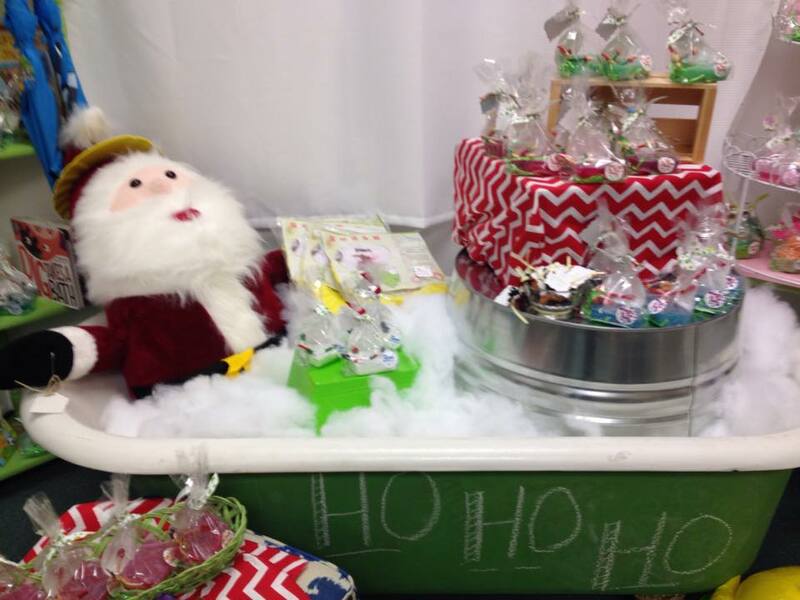 Joy is creating a package of handmade bath treats in this scent as one of my giveaways! Joy is creating a package of handmade bath treats in this scent for me to share with a lucky winner next Tuesday night. You will thank me after you use it, I promise! It is truly one of my favorite things! Remember, the only way to win is to be at the party Tuesday night! See you there.